Singapore-based mobile network operator SingTel has announced a partnership with Visa that will enable customers in Singapore and Australia, where it operates as Optus, to use its mCash mobile payments solution at any Visa PayWave acceptance point. Visa prepaid accounts will be linked to mCash ready for an early 2014 launch that will allow customers to use the service at more than 12,000 Visa PayWave points in Singapore and 100,000 across Australia. 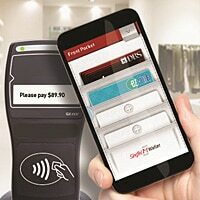 “Payments will not be limited to Singapore and Australia, and will extend beyond NFC transactions,” says SingTel. mCash is a stored value proposition that allows subscribers to pay for transportation and make online purchases as well as conduct in-store and online transactions via NFC or SMS.